The line between movies and video games blurs even further as Ubisoft announces the acquisition of Hybride Technologies, the visual effects studio behind the blockbuster films 300, Sin City, and the Spy Kids series. Ubisoft will work closely with the team at Hybride to create new technologies for video games and visual effects, while at the same time continuing their film work. "It is the quality and innovation of our artists that made Hybride into one of the most successful studios in cinema and the most important visual effects producer on the North American East Coast," stated Pierre Raymond, founder and chief executive officer at Hybride Technologies. "The sharing of technological and creative expertise between Ubisoft and Hybride will position the two companies at the head of the pack in an entertainment industry in rapid evolution." A game company owning their own movie effects company will also do wonders for getting Ubisoft properties made into motion pictures, don't you think? Don't worry about the effects budget, we've got that covered. Hit the jump for the full release regarding this groundbreaking convergence of video games and cinema. London, UK - July 8, 2008 – Today Ubisoft announced the acquisition of Hybride Technologies, a Montreal-based studio renowned for its expertise in the creation of visual effects for cinema, television and advertising. Created over 15 years ago, Hybride employs 80 team members. The studio's many projects include such innovative films as 300, Frank Miller's Sin City and the Spy Kids series. Ubisoft will work closely with Hybride to share technology and to develop tools in order to optimize the creation of both video games and visual effects and to offer gamers visual experiences that rival those of the cinema. At the same time, Hybride will continue to work with its film partners while also bringing its expertise to leverage Ubisoft's intellectual properties for the movie industry. "The future of our industry depends on our ability to create brands that captivate audiences and to extend those brands to other forms of entertainment," said Yves Guillemot, chief executive officer at Ubisoft. "The acquisition of Hybride falls directly into the strategy that has already led us to open a digital creation studio in Montreal and to acquire the Tom Clancy brand for video games and ancillary products. The exceptional quality of the team at Hybride and the expertise of our Ubisoft teams will allow us to create one of the best 3D animation studios in the entertainment industry." "This alliance is a true first for the industry," continued Yannis Mallat, chief executive officer of Ubisoft Montreal. "Ubisoft and Hybride share the same vision of entertainment convergence and a common passion for innovation and creativity." 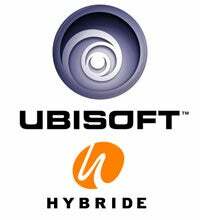 In addition to bringing its technological knowledge and its collaboration to Ubisoft's brands, Hybride will continue to work with its external partners. The forecast for this visual effects creation activity for cinema, television and advertising will initially generate sales of approximately 6 to 7 M€ and a current operating income of about 10 % of sales.